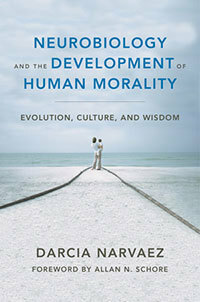 Notre Dame psychologist Darcia Narvaez has received the 2015 William James Book Award from the American Psychological Association for her latest book, Neurobiology and the Development of Human Morality: Evolution, Culture and Wisdom. The award recognizes a recent book that attempts to bring together diverse subfields of psychology and related disciplines and demonstrates an essential underlying set of themes that serve to unify or integrate the field. Narvaez, a professor of psychology in the College of Arts and Letters, accepted the award on August 8 at the APA convention in Toronto. Her book, she said, integrates elements of anthropology, clinical and developmental psychology, and neuroscience to examine the influences in early childhood that help shape a person’s moral character. A Notre Dame research team has found that characteristic child-rearing practices common in hunter-gatherer societies—such as plenty of positive touch, prompt response to a baby’s discomfort, breastfeeding, multiple responsive adult caregivers, and free play—are correlated with greater empathy, moral conscience, and self-regulation in young children, she said. The team includes Narvaez, Lijuan “Peggy” Wang and Ying “Alison” Cheng, both associate professors of psychology; Jennifer Burke Lefever, an assistant professor of psychology; and a colleague from Wellesley College. The erosion of that child-rearing approach, she said, has led in part to higher rates of anxiety and depression and a morality that is more self-protective in children and adults. Using deep anthropological history, ethical philosophy, and contemporary neurobiological science, Narvaez’s book discusses how modern industrialized societies diverted from the cultural practices that foster human nature. 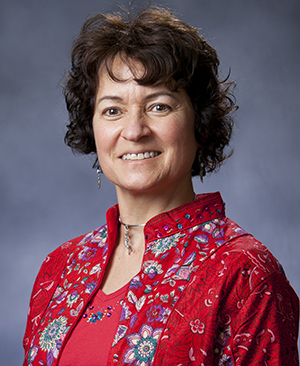 Narvaez, who joined the Department of Psychology in 2000, has published numerous books and articles on moral cognition, moral development, and moral character. She is a co-director of the interdisciplinary Self, Motivation, and Virtue project and the Developing Virtues in the Practice of Science initiative. She is executive editor of the Journal of Moral Education and writes the popular Moral Landscapes blog for Psychology Today. She recently hosted three symposia with accompanying co-edited books: Evolution, Early Experience, and Human Development (Oxford University Press, 2013), Ancestral Landscapes in Human Evolution: Culture, Childrearing, and Social Wellbeing (Oxford University Press, 2014), and Contexts for Young Child Flourishing: Evolution, Family and Society (Oxford University Press, forthcoming). She is planning a symposium for September 2016 called Sustainable Wisdom: Integrating Modern and Indigenous Knowhow for Flourishing. Darcia Narvaez discusses her book in this interview with Notre Dame’s Institute for Educational Initiatives. Originally published by Carrie Gates at al.nd.edu on August 10, 2015.